Offers superior resistance to abrasion, cut and puncture compared with natural rubber gloves. 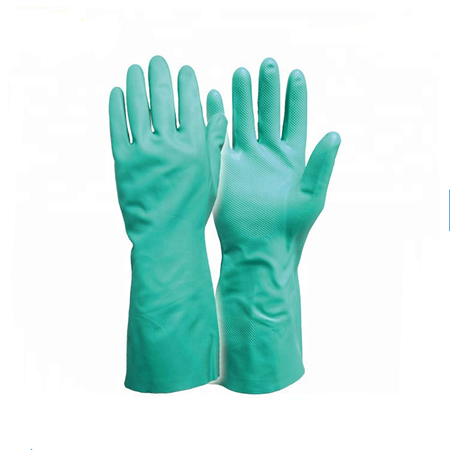 Higher durability and longer wear than natural rubber gloves. Does not contain latex protein. Conform to European standards EN420 EN388, EN374-2, EN374-3 and certified to CE Category III (PPE of Complex Design). Comply with US FDA CFR 21 Part 177.2600 & EC Regulation no.1935/2004 for food contact applications.